Archimedes’ Principle states that the buoyant force on a submerged object is equal to the weight of the fluid that is displaced by the object. The buoyant force on several objects is measured by weighing the water displaced by a submerged object. The buoyant force is also determined by measuring the difference between the object’s weight in air and its apparent weight in water. Some of the objects have the same density, some have the same volume and some have the same mass. The density of each object is measured and the dependence of the buoyant force on density, mass and volume is explored. The provided objects have related volumes, masses and densities to demonstrate that only the volume of water displaced affects the buoyant force. This experiment is available for download at no charge. 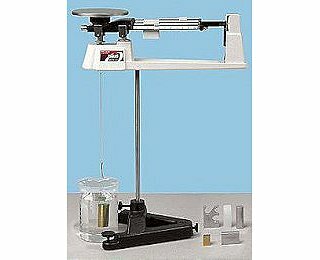 The mass and volume are measured to determine the dependence of the buoyant force on mass, volume and density.